For the month of January, we are studying portraits. 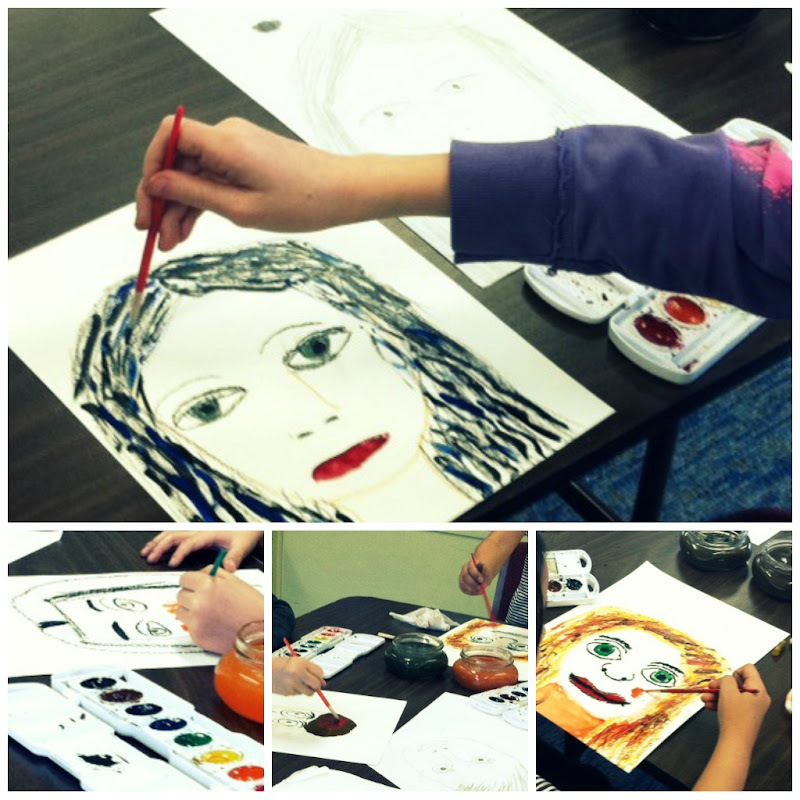 We started out practicing the shape and placement of each facial feature. As we've studying master artist, Modigliani, we've moved away from realism a bit, using exaggeration and unexpected color. It's always amazing to see what the students come up with.